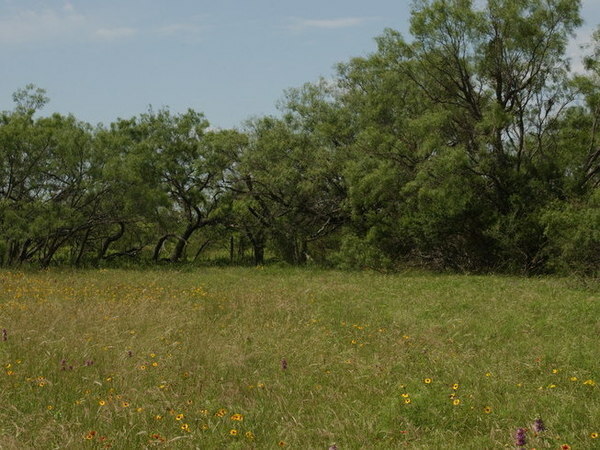 The Homestead Subdivision is located 20 miles north of Brady, Tx on County Road 454, just off Hwy 377. There are two 5 acres tracts available in the subdivision. Both front on CR 454. There is a central water system with water furnished by Richland Special Utility District, both properties have electricity on them. 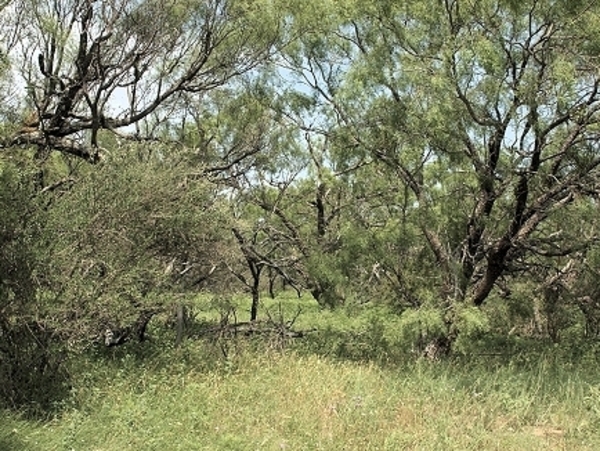 The tracts are very level with good pasture land and scattered mesquite trees. WHEREAS, Ranch Enterprises, Ltd., hereinafter called Developer, has established the Subdivision in McCulloch County, Texas known as The Homestead and has dedicated to such Subdivision all the lots, tracts and parcels of land shown on that certain map or plat filed for in the Map and Plat Records of McCulloch County, Texas to which reference is here made for all purposes. WHEREAS, Developer has established the Subdivision by carrying out a general uniform plan of development and improvement of The Homestead to insure and maintain its suitability for private and residential purposes, to protect and benefit each and every purchaser, owner or grantee of herein and enhance the value of the land located in said subdivision. 1. Covenants Running With the Land. These restrictions and covenants shall run with the land and shall be fully binding upon all persons acquiring property in said subdivision whether by decent, devise, purchase, assignment, contract or otherwise, and any person by the acceptance of any Tract or parcel of land or entering into a contract for the purchase of the same shall thereby agree and covenant to abide by, and fully perform all the foregoing restrictions, covenants, and conditions. These covenants shall be binding for a period of thirty (30) years from the date they are filed for record in the Deed Records of McCulloch County, Texas, unless changed or amended as provided herein. Said covenants shall be automatically extended upon the expiration of said term of successive periods of ten (10) years each. The record owners of legal title of fifty-one (51%) percent of the Tracts in all phases of the subdivision as shown by the Deed Records of McCulloch County, Texas, may amend or change the said covenants in the whole or part at any time. Any change or amendment shall be set forth and evidenced by a successor instrument bearing the signatures of the requisite number of record owners and recording of the same in the office of the County Clerk of McCulloch County, Texas. A copy of any change or amendment to these Restrictions or Covenants and Conditions shall all be forwarded by prepaid mail to all owners by the Developer. Failure to furnish and copy shall not affect the validity if such amendment. 2.1 “The Homestead” shall mean and refer to all phases of that subdivision of McCulloch County, Texas, recorded in Deed Records of McCulloch County, Texas, and designated according to the original plat. 2.2 “Purchaser” shall mean and refer to the person or persons, entity or entities who have entered into a contract for purchase of a tract of land with the Developer as the original party as a successor or assign; or who owns of record fee simple title to a tract. 2.3 “Residence” shall mean and refer to a permanent structure or mobile home erected on a tract for the use of a single family dwelling. 2.4 “POA” shall mean and refer to the Property Owners Association of The Homestead composed of the Purchasers in The Homestead, whose elected officers shall review plans for construction prior to construction or erection of any building, residential or out-building and shall determine such specifications and plans are not in violation of any of these restrictions, covenants, or conditions and shall have the power to enforce the restrictions and covenants of The Homestead. Until a POA is formed, Ranch Enterprises, Ltd. shall take on the role of the POA. 2.5 “Tract” shall mean and refer to the lot, acreage of land conveyed or contracted for by the purchaser, his executor, beneficiaries or assigns. 3. Non Commercial Use of Tracts. None of said Tracts, or improvements erected thereon, shall be used for any purpose other than a private family residence with usual and customary accessory buildings, such as, but not limited to garages, guest cottages, and servants’ quarters. No Tract, or improvement thereon, shall be used for any commercial purpose, except that nothing herein shall be construed to prevent a purchaser from rendering professional services of purely personal nature so long as such services do not attribute to the Tract any appearance of a commercial or non-residential use. 4. Architectural Control. The POA which shall determine if the plans and specifications for any structure on any Tract meet the requirements of these restrictions and determine if the appearance, design, and quality of the workmanship and materials are in harmony with the purposed scheme or plan of development of the Subdivision and the POA. Plans and specifications shall, as a minimum, describe the building to be placed or constructed as well as the materials to be used on the exteriors. 5. Construction of Buildings and Other Structures. All building and structures on each Tract shall be architecturally acceptable by the POA. No unpainted metal or fiberglass structure shall be placed on any said Tracts for use as an accessory building. No tent or substandard structure of any character may be placed, constructed or maintained by any said Tracts, nor shall ever any structure of temporary character be used as a residence thereon except as permitted in Paragraph 6. Storage of travel trailers is permitted provided it is not in a condition or location to adversely affect the value of the adjoining property. 6. Size and Type of Building. Not more than one single family residence shall be placed or constructed on any tract of the land herein contracted or conveyed. Each dwelling must be new construction and shall not be less than 1000 square feet of heated and air-conditioned space, exclusive of garages, carports and porches. All plans and specifications are subject to the prior written approval of the POA. All dwellings must be completed within 360 days after laying foundations. A residence may not be lived in or occupied until the residence is 100% complete as per the POA approved plans. 1. New Manufactured Dwelling Houses (or houses which are not more than five years old and approved by the POA ) of not less than one thousand (1000) square feet are permitted. 2.All manufactured homes must have their towing devices, axles and wheels removed, and must be placed on a slab, blocks or piers and anchored to the land in the manner prescribed by the Texas Department of Licensing and Regulation. 3. All manufactures homes shall have shingle roofs (or roofs made of other materials approved in writing by the POA) and hardy panel siding or vinyl siding. 4. All manufactured homes must be completely enclosed from the groung level to the lower portion of the outside wall within 60 days after placement on the property with dealer installed skirting such as hardy panel, masonry, plaster, brick, stucco or other fabricated material specifically approved for the purpose of enclosing manufactured homes, as approved in writing prior to installation, by the POA, so as to maintain a neat, harmonious appearance. Lattice and vinyl skirting are not acceptable. Back filling is allowed. All plans and specifications are subject to the prior written approval of the POA to insure the development of a high quality residential area. 7. Setback Requirements. Under ordinary topographical circumstances, all residences, new factory built mobile homes, garages, carports, decks or any other buildings will be required to be set back 75 feet from roadways bordering the Tract. All residences, new factory built mobile homes, garages, carports, decks or any other buildings will be required to be set back 20 feet from side tract lines and not less than 25 feet from the back lines. There can be no variations from this unless variance is granted by the POA because of topography. 8. Driveways. All Tracts must have a driveway extending from the street to the garage, carport or vehicle parking area of the residence. All driveway materials must be caliche, gravel, crushed limestone, concrete, asphalt paving or of a material approved by the POA. Prior to constructing a driveway you must contact your County Commissioner to determine if a culvert is needed for your driveway. 9. Decks and Patios. All decks and patios shall contain only furniture and appliances customary for use on decks and patios, such as grills, smokers, deck furniture, hot tubs, etc. Decks and patios may not be used for storage, or for placement for refrigerators, freezers, house hold appliances, etc. 10. Animals and Hunting. No feed lots shall be allowed nor shall any commercial livestock operations be allowed, specifically the raising of game or fighting roosters. No swine shall be permitted unless it is in connection with a school project, Future Farmers of America or 4-H Club project. Livestock may be kept and maintained on said land in numbers not to exceed one (1) animal for each two acres for horses and cattle and may not exceed one (1) animal for each one acre for sheep and goats. No more than five (5) animals shall be allowed on any Tract, excluding poultry. Chickens, duck, geese or other poultry shall be allowed if contained within a pen and do not become an annoyance to neighbors. Household pets should be maintained in a sanitary and quiet manner. 11. Water Supply, Sanitation and Sewerage. No outside toilets will be permitted or maintained on any Tract and all plumbing shall be connected to a sanitary sewer or septic system approved by the State and local Department of Health. No well or septic tank may be placed within 75 (seventy-five) feet of any property line. 12.Trash and Garbage. No trash, garbage, construction debris, or other refuse may be dumped or disposed or allowed to remain upon any Tract, vacant or otherwise. No building material of any kind or character shall be placed upon the property until the owner is ready to commence improvement, and then such material shall be placed within the property lines of the Tract. All incinerators, cans, or other equipment for the storage or disposal of trash, garbage or other wastes shall be kept in a clean and sanitary condition and behind Tract improvements so they are not visible from the street. 13. Unused Vehicles and Commercial Vehicles. The storage of junked, abandoned or wrecked items such as motor vehicles, boats, or other equipment or materials shall not be permitted on any Tract. No eighteen wheel trucks or other large commercial type vehicles will be allowed to park along the roads in the subdivision. 14. Noxious Activity. No noxious or offensive activity shall be carried on or maintained on any Tract, nor shall anything be done thereon which may be or may become an annoyance or nuisance to the neighborhood in the Subdivision. All Tracts must be kept in a neat and clean condition. The POA shall determine noxiousness or undesirability and any decision shall be conclusive on all parties. 15. Signs. No sign or advertising device may be displayed on any Tract except in the event of sales. There may be one for sale sign with no more than five (5) square feet. 16. Subdividing. No Tract, as that term is defined herein, may be re-subdivide by the purchaser or owner without the consent of the Developer or POA in writing. 17. Separability of all Terms and Provisions. If any term or provision of this instrument, or the application thereof shall be held invalid all other terms and provisions of this instrument, or the application thereof shall not be affected thereby nor shall any failure of the Developer or POA to seek enforcement of any term or provision constitute a waiver of any rights to do so in the future or the validity or enforceability of such term or provision. 18. Enforcement. The Developer, POA and every other person, firm, or corporation hereinafter having any right, title, or interest in any Tract or parcel of land in this subdivision shall have the right to prevent the violation of any said restriction by injuction or other lawful procedure and to recover any damages resulting from such a violation. Damages for the purpose of this paragraph shall include court cost and necessary attorney fees. 19. Interpretation. The right is expressly reserved to the Developer, POA and its successors and assigns, to interpret any and all conditions, limitations and restrictions contained in these restrictions but such right shall be without prejudice to the rights of enforcement prescribed in paragraph 13 above. 20. Abatement and Removal Violation. Violation of any restriction or condition or breech of any covenant herein contained gives the Developer, POA or its agents, in addition to other remedies, the right to enter upon the land, and to abate and remove the violation at the expense of the Purchaser or Owner, and said agents shall not thereby be deemed guilty of any manner of trespass for such entry, abatement, and removal. 21. Easements. Perpetual easements are reserved along and within ten (10) feet of the rear line, front line, and side lines of all Tracts in this development for the installation and maintenance of poles, wires, downguys, and fixtures for electric lines and telephone lines; and to trim any tree which at any time may interfere or threaten to interfere with the maintenance of such lines, with the right of ingress and aggress from said premisses to employees of the utilities owning said lines. Said easements to also extend along any owners side and rear property lines with fractional Tracts. It is understood and agreed that it shall not be considered a violation of the provisions of this easement if the wires or cables carried by such poles passes lines over some portion of said Tracts not within the 10 foot wide strip as long as such lines do not prevent the construction of building any tracts in this development. 22. Enforcement. The above restrictions, covenants and conditions shall be enforceable by injunction and any other remedy provided by law, all of which remedies are to be cumulative by said Developer, POA or any person who may purchase or own any tract or parcel of land situated in The Homestead. 23. Property Owner's Association. That at such time as Developer may determine at his sole discretion, the Developer shall have the authority but not the obligation to notify each purchaser of the time, date, and a place of a meeting of all purchaser to be held for the purpose of organizing a Property Owner's Association. A majority of the votes of the purchasers in attendance at such meetings or by written proxy shall be sufficient to transact business at such meeting. Each purchaser, including Developer, attending or represented by written proxy at such meetings shall have one vote for each tract owned by such purchaser on all business to come before the meeting. Upon the creation and organization of such organization, as non-profit corporation, or otherwise, Developer shall transfer and assign to the association the current balance of the maintenance funds, if any. Thereafter such association shall have the power, authority and obligation to maintain the maintenance assessment. All such assessments upon any tract in the development shall become the personal obligation of the owners of such Tract and such association is hereby granted a lien upon each lot to secure the payments of such assessments, permitting said association such rights to enforce said liens as may be set forth in Sec. 51.002 of the Texas Property Code, as amended time to time. 24. Maintenance Fees. Purchaser hereby authorizes Developer, POA and/or Assigns to charge each purchaser a maintenance fee of $100.00 (one hundred dollars), per tract per year to improve and maintain the entrance, roads, and any other maintenance deemed necessary by the Developer and/or the POA in The Homestead. Such charge shall not be assessed against Developer and/or Assigns. Such charge shall be made by direct billing to the purchaser. If Purchaser refuses to make said payments, Purchaser hereby authorizes Developer, at Developer’s option, to deduct such charge from payments made by Purchaser, and any such charge so deducted will not be credited to the payment on the balance due on the purchase price, principal or interest. It is understood and agreed that this maintenance fee (if not paid within 60 days of billing date) shall become a lien against the tract being conveyed, permitting Developer and/or the POA such rights to enforce said liens as may be set forth in Sec. 51.002 of the Texas Property Code, as amended time to time. No deviation of any kind shall be permitted from these restrictions and protective covenants unless permission is granted in writing by the Developer or POA. Tell me more about this property, The Homestead SOLD OUT, for sale.